The Inline UV™ System is specifically designed to treat microbiologically contaminated ground or surface waters. 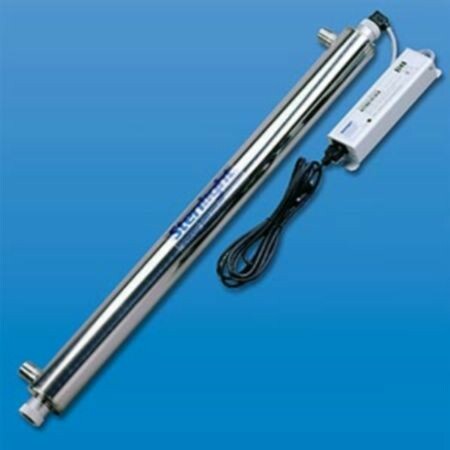 These disinfection systems are designed to offer a reduction up to a 99.99% in bacteria, virus and protozoan cysts (specifically Giardia lamblia and cryptosporidium). The Inline UV System is installed directly inline with the plumbing pipes for easy installation and maintenance. We also recommend a .35-micron Absolute Post Filter to capture the remains of any cysts and micro matter that may be present in your water. Order your Inline UV Online Securely below. Easy install, Review by Danielle F.